Souvenior Shop Service that enhances duty free shop "Plaza Bali" shopping, Bali esthetics, Bali cultural experience, restaurant, and free meeting and sending off, etc. that receive the 10th anniversary of founding in Bali. 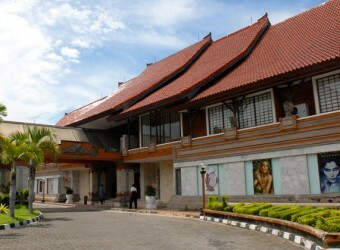 It can enjoy plaza Bali enough besides shopping. Tax-free goods such as cosmetics, foreign drinks, and handicraft goods of Bali are abundant.